On Sundays, if we're at home and have a desire to take things easy we do chicken. Ring the changes by smothering large Espetadas in a delicious easy to prepare Greek-style yogurt dressing. 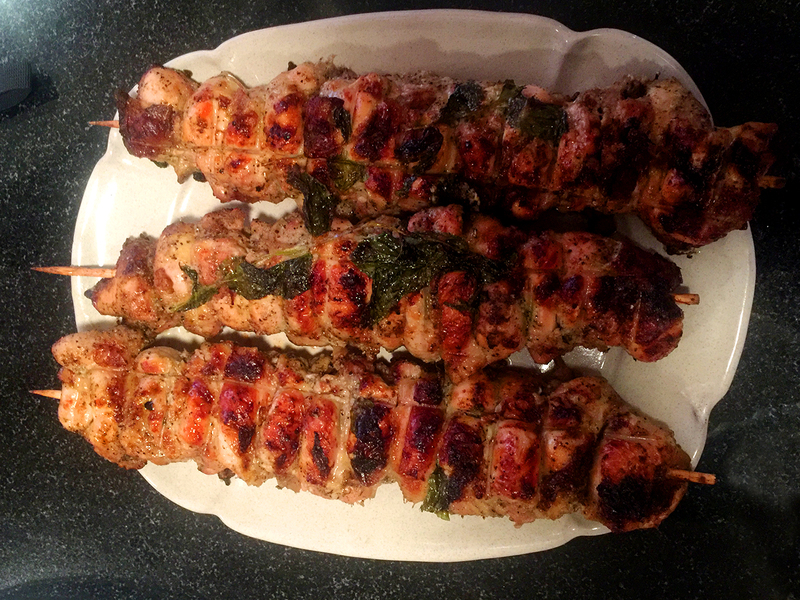 Of course one can also use ordinary kebab or sosatie skewers too. Just soak the skewers in cold water beforehand. 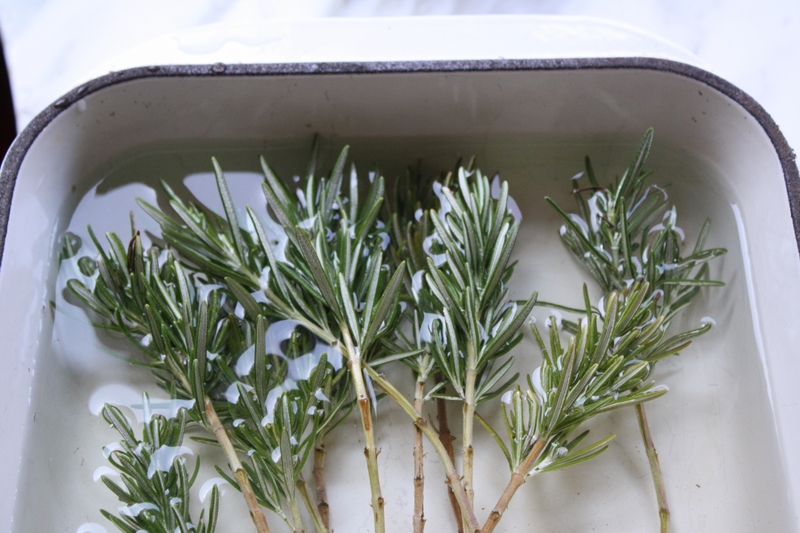 Rosemary or Bay skewers can be make, the oils infuse the meat heighting the flavours. We call it "soul food" or sometimes "sea food"! 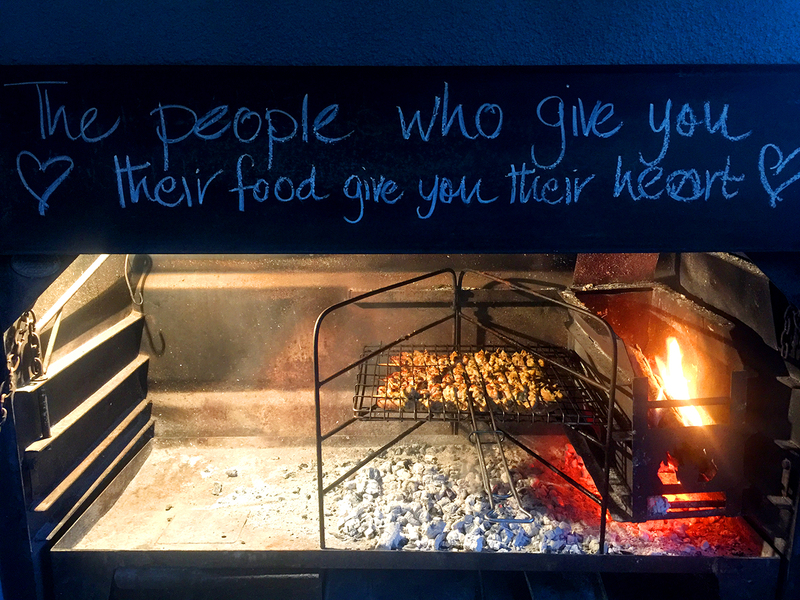 "PEOPLE WHO GIVE YOU THEIR FOOD GIVE YOU THEIR HEART"
There is nothing nicer than a barbecue on a Sunday. Relaxed, easy and inviting. Friends enjoy sitting around being part of the conversation and the cooking. Prepare the marinade and the Espetadas the day before . 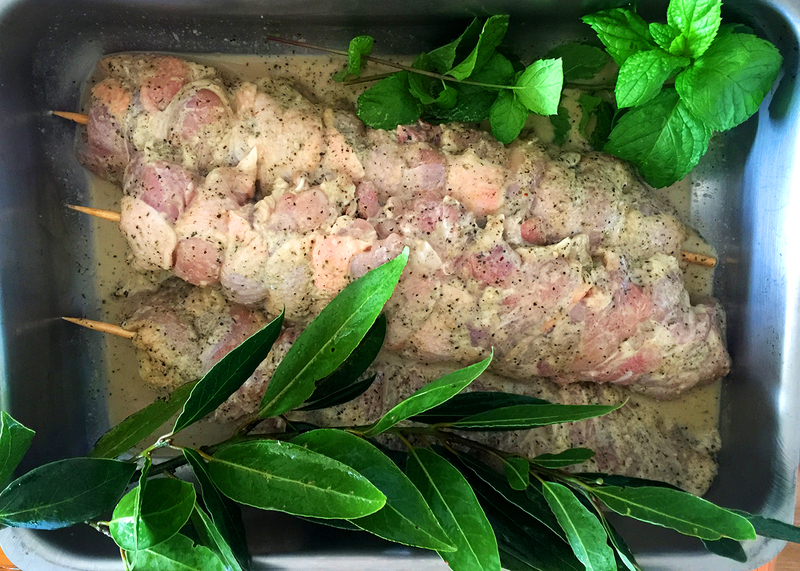 If you have long, new, bay stems remove the leaves, sharpen one end and use them as skewers, the Bay oil will infuse the meat, a delicious alternative. Rosemary skewers can be used too. Pour the Greek-Style yogurt into a mixing bowl, add all the ingredients except the chicken breasts. Marinade in the yogurt marinade overnight. 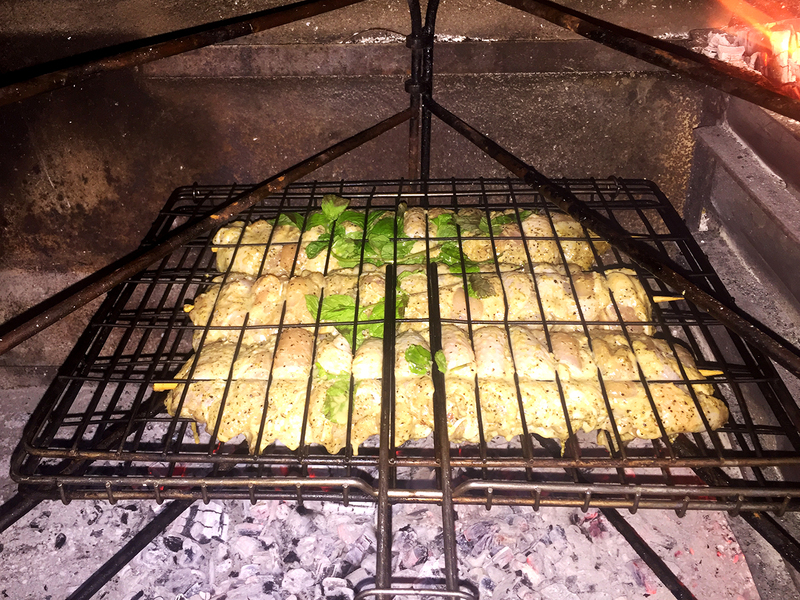 Pack the Espetadas on a clean grill, place a few sprigs of mint on top before closing the grill. 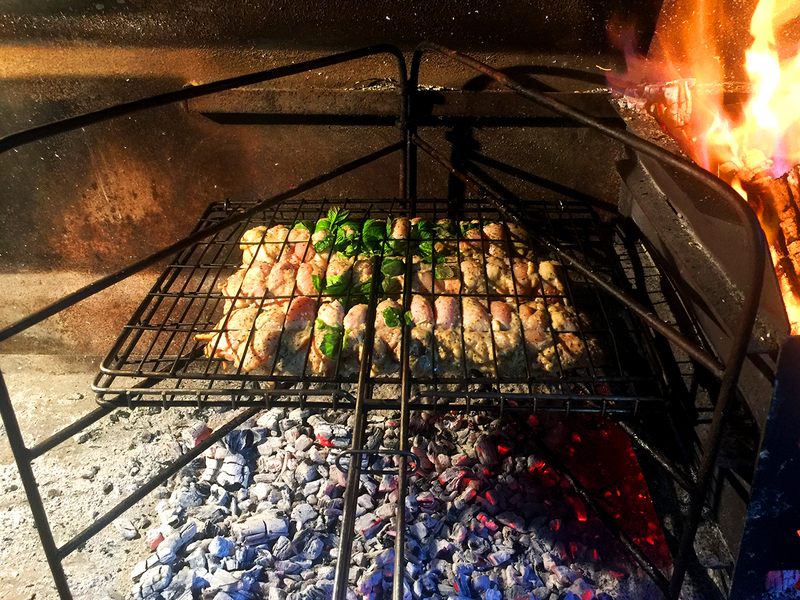 Barbecue, or grill in a hot oven, until cooked through – about 12 minutes per side on the highest level away from the heat, cook gently, turning the meat frequently to prevent charring. Just before taking off the heat place on the level nearest the heat for a golden colour. I love a little bit of charring too. Do note Espetadas are large so, if you've threaded your WHOLE de-boned chicken thighs onto a skewer there will be a few portions. We did three which was sufficient for 6 servings. P.S South Africans note: Woolies sell divine Chicken Espetadas in various delicious flavours. My inspiration came from there.